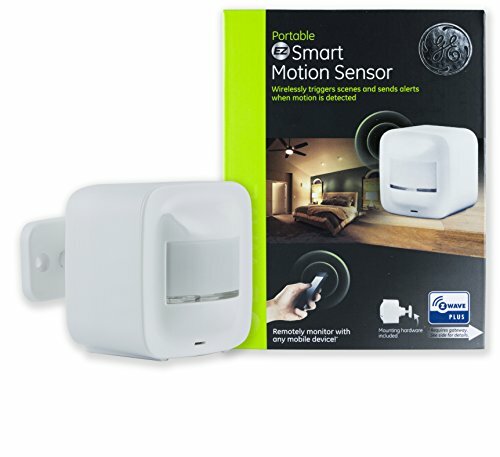 Review and comparison of the 9 BEST SmartThings compatible Z-wave plus motion sensors. 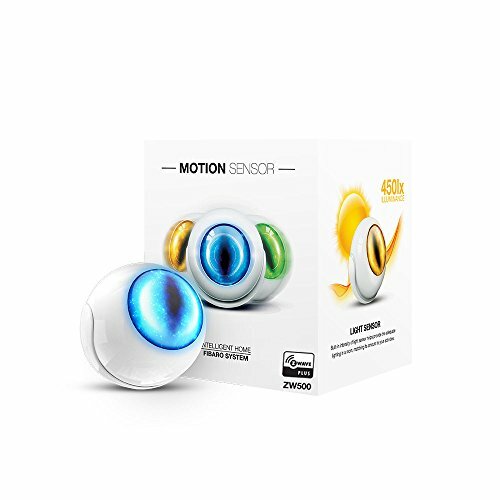 Review and comparison of the 9 BEST Wink Hub 2 compatible Z-wave plus motion sensors. 4 SMART SENSORS IN 1: This compact device detects and reports motion, temperature, humidity, and light level to your smart home app. Compatible Z-Wave hub required, sold separately. NEW IMPROVED VERSION: The included CR123A battery makes the sensor lasts much longer than the previous version. Updated motion detection allows you to get even quicker activity reports. CUSTOMIZE IT: Choose from 7 levels of motion sensitivity, adjust the motion re-trigger interval, and pick from 4 different LED indicator modes (your hub needs to support advanced parameter input). SECURITY FIRST: This sensor is equipped with bank-grade AES signal encryption. It’s Z-Wave Plus certified to ensure it complies with the highest industry standards. WILL IT WORK WITH MY HUB? This sensor is NOT supported by Wink, Vivint, ADT Pulse, Qolsys, or other Z-Wave alarm panels. It will work great with open systems like Almond (Securify), HomeSeer, Home Assistant, Hubitat, SmartThings Hub with custom device handler (contact seller for instructions), VeraEdge, VeraLite (running under UI7), VeraSecure and VeraPlus. THIS IS NOT A CAMERA! 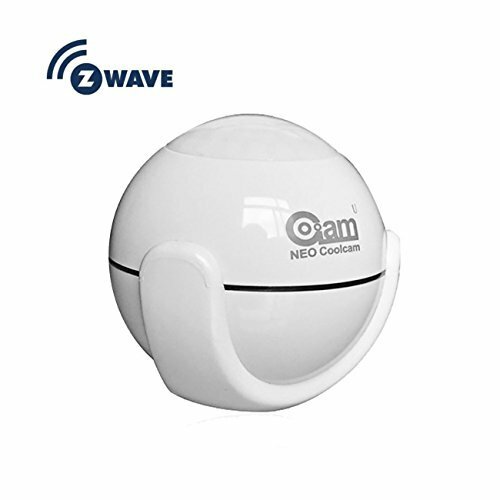 Z-WAVE PLUS SENSOR : Motion, Light Lux sensor , it can be controlled remotely by z-wave network. DISCREET COMPACT DESIGN: 1.8″(D) x 1.9″, Super-small shaped, It like a cat’s eye,Battery operation and wireless motion sensor Can be installed in corner, in-wall, on shelf or in downlight, garden lights, or patio . 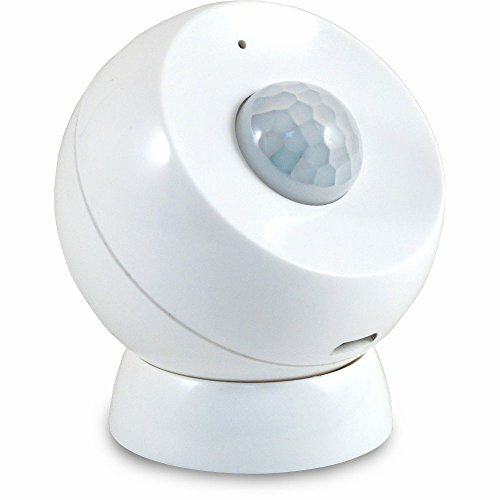 SENSITIVE REACTION: Get alerted immediately on your smart phone when there is motion detected. ,trigger certain lights,activate specific scenes or even sirens if there is a threat. 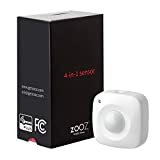 APPLICABLE TO MULTIPLE HUBS : It’s compatible with following brand alarm hubs: HomeSeer, Fiabro, Vera, Wink ,Zipato (contact seller if your controller is not on the list). Not Compatible: Iris, Vivint, or alarm panels. 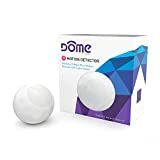 Requires a Z-Wave certified gateway – Compatible with the following Z-Wave certified Hubs: SmartThings, Wink, Nexia, Trane/LG Smart Security and Iris. Wirelessly trigger scenes and send alerts to your smartphone or tablet whenever motion is detected. 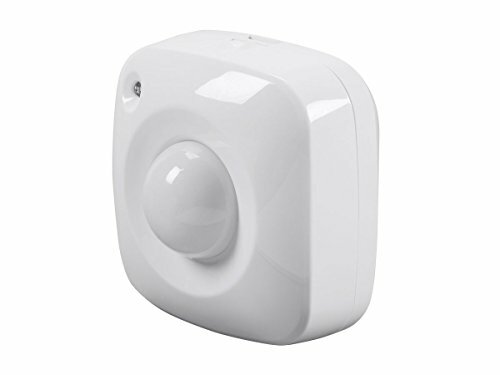 Sensor has a wireless range of up to 150ft from controller or closest Z-Wave device. 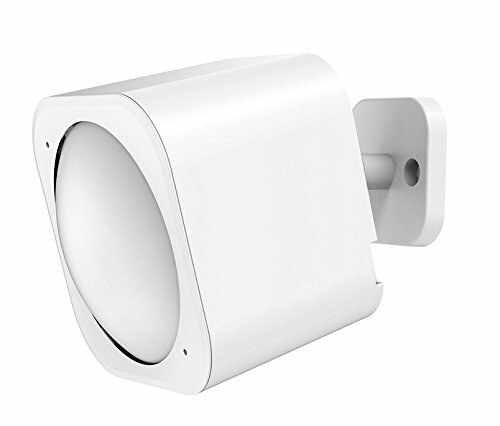 Sensor sits perfectly on a shelf, table counter or desk, and can be mounted to a wall or ceiling using the included mounting hardware. Power using 2 CR123A batteries (included) – Battery life of up to 2 years. For high-traffic areas (entry-ways, common rooms, hallways) use a micro USB cable and power adapter (sold separately). Please Watch the Motion Sensor Comparison Video for your Hub Brand Before You Purchase! 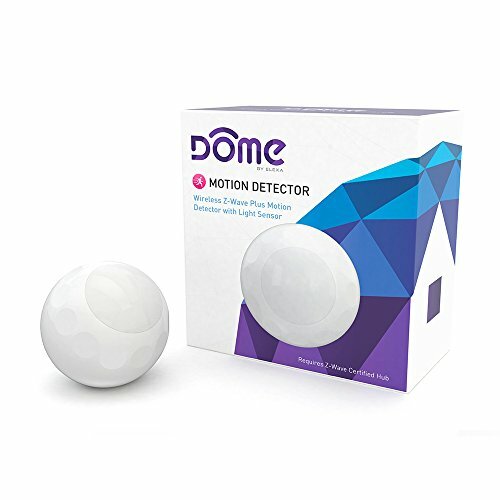 Motion Detection: This device uses a passive infrared sensor and sends a Z-Wave Plus® signal when motion is detected within its detection range. It can detect moving objects within line of sight at distances up to 32 feet, away with a field of view up to 120°. Temperature Detection: The sensor will automatically report the measured temperature whenever it changes by a particular amount. By default, it reports every time the temperature changes by 1°C. Humidity Detection: The sensor will automatically report the measured humidity level whenever it changes by a particular amount. By default, it reports every time the humidity level changes by 10%. Light Detection: The sensor will automatically report the measured light level whenever it changes by a particular amount. By default, it reports every time the light level changes by 10%. Z-Wave Plus is a low power mesh networking communications technology that allows Z-Wave Plus enabled devices to communicate with each other and to distribute Z-Wave Plus messages throughout the network.